Because of its liberal laws on marijuana and industrial hemp, Washington has one of the fastest growing CBD oil markets in America. For those interested in buying CBD oil in the Evergreen State, you’ll be happy to know that both CBD cannabis oil and CBD hemp oil are legal there, though under different conditions. 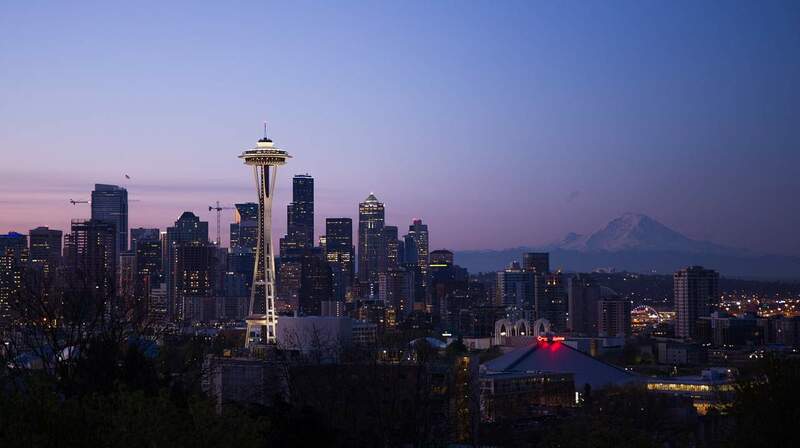 Read on to find out more about Washington’s CBD laws. Is CBD Oil Legal in Washington? The Washington State House of Representatives introduced House Bill 2334 in December 2017, which would allow marijuana processors and producers to use CBD even if the source is not licensed by the State Liquor or Cannabis Board (LCB). According to the bill, CBD products are legal in the state so long as it’s lab tested with a THC level of not more than 0.3%. So to answer the question, yes, CBD oil is, in fact, legal in the state. However, the state maintains that marijuana and all its derivatives should be grown and sold within the state only. To put it simply, no marijuana comes in and no marijuana goes out. Every product you will find in local retailers including edibles and oils are grown by state-licensed producers within the state. Anyone caught bringing in marijuana or CBD products from an outside source will have their licenses revoked by the LCB. What Kind of CBD Oils are Legally Available in Washington? As mentioned, there are two types of CBD oils: CBD cannabis oil, derived from marijuana, and CBD hemp oil, derived from hemp. Marijuana, along with its derivatives, was decriminalized in the state in 2012 as per Initiative 502. Now that recreational marijuana is legal in the state as well, there are dispensaries that operate and sell several marijuana products, including CBD products. The regulated system for the production and distribution of marijuana is the same as with the state’s liquor regulations. As for CBD hemp oil, its use has been legalized since 2014, upon the enactment of the Farm Bill. The bill was further strengthened when the state passed Senate Bill 6206, which allowed for the use and possession of hemp products throughout the state. Buying CBD hemp products in the state is convenient and easy. You will find many stores that sell these products across the state. For first-time buyers, it’s important to know how these products can be used and where to get them. What Can CBD Oil be Used for in Washington State? According to the state’s humanitarian compassion act, the decision to use marijuana by patients diagnosed with a debilitating medical condition or terminal disease is an individual and personal decision that should be based on the discretion and judgment of a healthcare practitioner. As of writing, the use of CBD and medical marijuana for mental health conditions such as anxiety, depression, and bipolar disorder is still to be considered due to the lack of scientific evidence that will support an improved health outcome. For this reason, mental health conditions have not been added in the list of qualifying medical conditions treatable with CBD. How Can I Get CBD Oil in Washington? There are two ways to buy CBD oil in Washington–either through online sources or local stores. If you live somewhere near smoke shops, head shops, or dispensaries, ask if the facility sells CBD products and other marijuana supplies. If you’re not familiar with local shops and dispensaries, you can always buy CBD online where hemp products are most commonly sold. Can Doctors Prescribe CBD Oil in Washington? In the US, it is legally inaccurate to use the term “prescription” when it comes to marijuana or any product derived from the plant, including CBD products. Doctors and healthcare professionals can only issue written certifications, which are not all prescriptions. When you say prescription, it only applies to products that are approved by the US Food and Drug Administration. These FDA-approved and regulated products can be written on a DEA-numbered prescription pad. If you want to use CBD to treat a medical condition, you must acquire a written certification from a state-licensed doctor. This will protect a resident from being prosecuted for the possession of marijuana. Doctors allowed to recommend the use of CBD and marijuana have been registered in the state’s physician registry. Furthermore, they are only given a limited set of certifications, which is commonly valid for up to one year. Yes. CBD products such as oils and concentrates are sold in cannabis clinic dispensaries. However, you can still buy these products in other brick-and-mortar locations across the state. Look for these products in health stores, vape shops, and head shops. That said, you always have the option to buy CBD products online. Can I Buy CBD Online in WA? As implied, yes, residents of the Evergreen State are allowed to buy CBD products online. However, only hemp-derived products are a common fixture online, which according to federal law are legal across the US. If you’re buying from WA, you should have no problems when it comes to shipment. Residents of WA are lucky to have such forward-thinking marijuana laws. It is legal to use marijuana for both medical and recreational purposes in the state, which has paved the way for stores and dispensaries to open in the state’s larger cities. Manufacturers of CBD products in the state are expanding high-CBD offerings into other categories such as edibles, topicals, tinctures, capsules, concentrates, and vapor pens. All in all, the future of CBD in Washington looks bright and secure.